Lex Murphy’s group of friends have all dated, hated, ignored and lusted after each other for the last few years. If only there was a way of matching people perfectly to avoid all the unrequited love, dumping and drama! Then Lex’s friend George is give a mysterious Sims-like game by his software-testing dad which involves building character profiles in the categories of Life, Looks and Love. Lex and George populate the game with avatars for all their mates, making a few ‘wishful thinking’ adjustments to the settings – and find that the next day these tinkerings have come true! But how long can this new calm, loved-up atmosphere continue…? 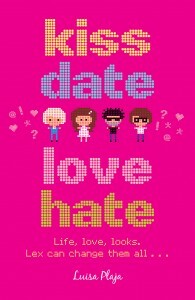 Categories: Devon, England, Humour, Romance | Tags: Luisa Plaja | Permalink. Rachel hates her life and everyone in it – she even has suspicions that her on/off boyfriend David might not be entirely trustworthy. However, when David invites her to a music festival in England featuring their friend’s band, she jumps at the chance for an overseas adventure. Hoping to surprise David, Rachel arrives at the festival early, where she runs into a nasty surprise of her own – she sees David kissing their friend Jo. Distraught, Rachel runs off, wishing she could leave her life behind… the next thing she knows, she’s back with David. But not as herself… She’s now in Jo’s body! 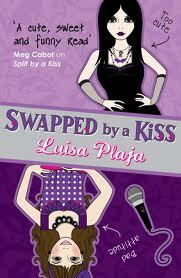 Can she keep the swap a secret from David until she can work out exactly what’s going on and get her revenge? Over the course of a very weird weekend, Rachel puts herself in someone else’s shoes and finds that her own maybe weren’t as uncomfortable as she’d always thought. But can she ever be herself again?